Next week my blog will celebrate another anniversary, and with 3 years behind me, I've decided to change my approach a bit. Up to now, I've been posting almost every weekday, generally grouping recipes around a theme for the week. Interspersed among the recipe posts have been restaurant reviews and a weekly look at others' food writing that started as Food (Section) Fight and morphed into The Feed. For a long time, I really liked this pace. I considered my blog more of a cooking journal where I could share with you what I'm making, including what works, what doesn't, what's new, what's an old favorite, etc. I've had a lot of fun learning new recipes and coming up with a few on my own. For expanding my cooking repertoire, this approach has served me well. Now with a decent collection of recipes under my belt, I've decided to shake up that approach. I want to put more focus on each post with a greater emphasis on creative cooking and more thoughtful writing. I want to take more time to think about what makes a certain dish or restaurant interesting and special. There have been some weeks where I feel like I really have to crank out the stories to get them up in time. I look back and I see mistakes and missed opportunities and I don't like that. So that's how the sausage has been made at Cook In / Dine Out, and I'm ready to try a new recipe. My plan is to take more time with each post. I still anticipate posting frequently--definitely every week and probably multiple times per week, but not every day. That will give me more time to make each post special and (hopefully) less error-ridden. Also, I am discontinuing The Feed. Although I like that it forces me to keep up with current food news, I don't like that it means I'm always scrambling on Tuesday nights to get the post done. I still plan to keep reading from my favorite food news sources (like the Washington Post Food section), but I won't be sharing them on my blog as much (follow me on Twitter and Facebook, if you don't already, as I plan to do more sharing of interesting stories there). I also hope to interact more with readers. If you read one of my stories, I hope you will leave a comment. Let me know what you like and what you don't. If you have a question, I'll do my best to answer it as soon as possible. Getting to know other food and cooking fanatics has been one of the best outcomes of having this site. I hope to do more of that this year. 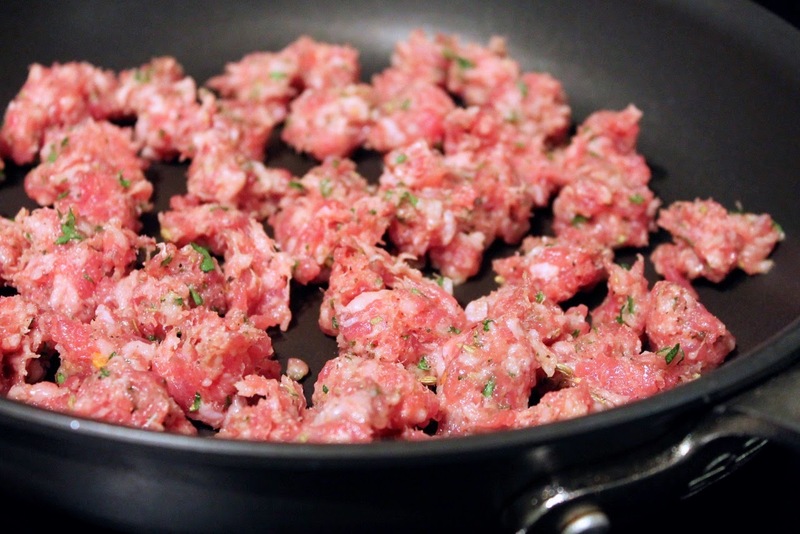 So to turn this post's metaphor into something literal, I'm now actually going to talk about changing sausage. 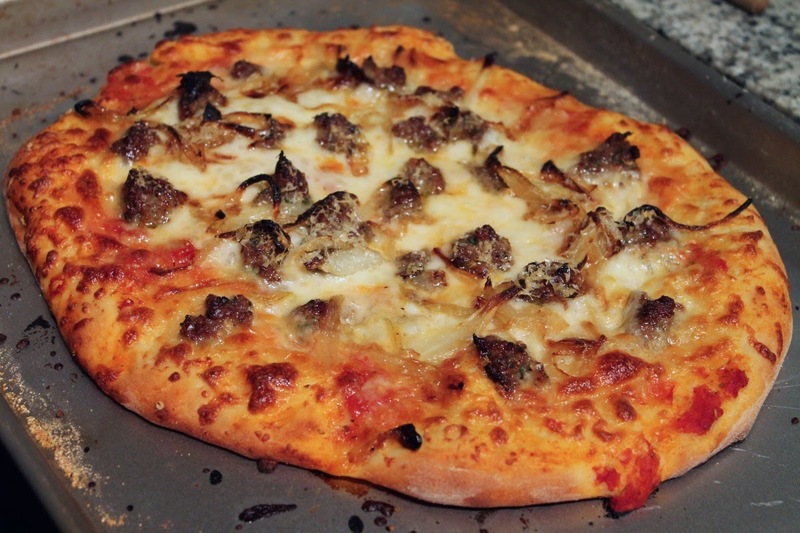 I made pizza for us on New Year's Eve this week. At the Giant grocery store, I found breakfast sausage, hot sausage and sage sausage, but I couldn't find any Italian sausage--the type with fennel seed and spice that you usually find on pizza. 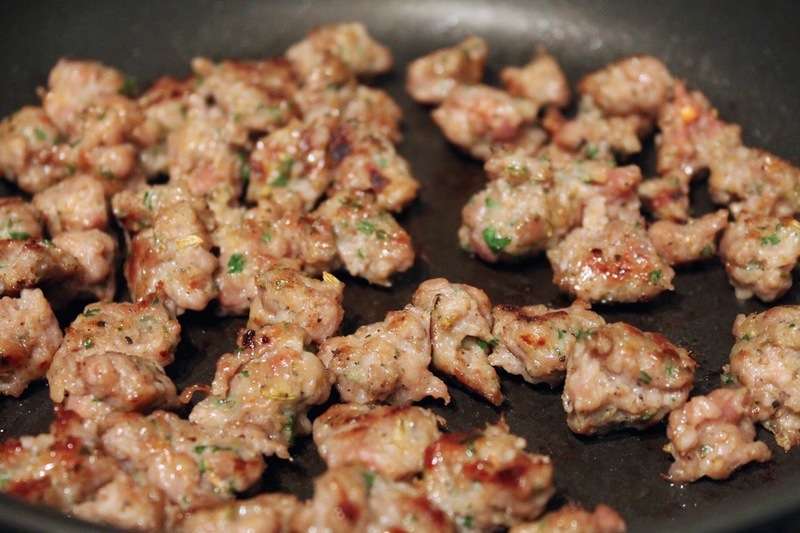 Given that making sausage "Italian" seems mostly to be a matter of spices, I decided to try a quick conversion. 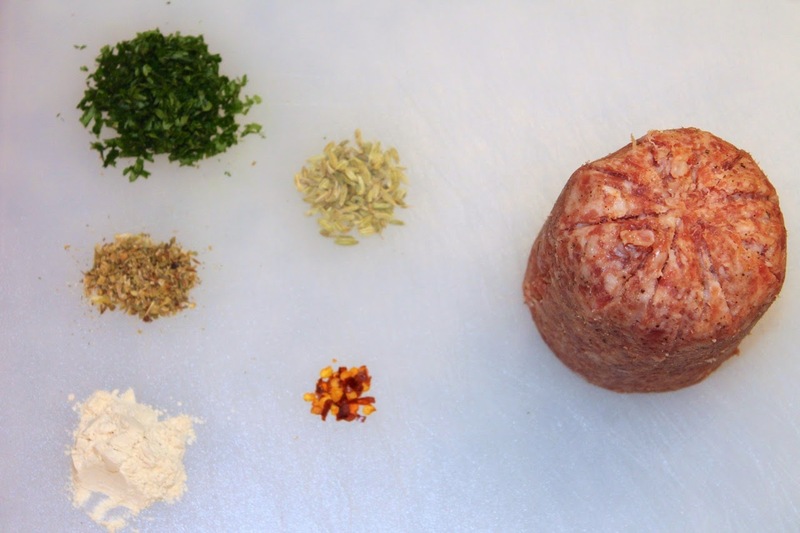 Although there are recipes out there for making Italian sausage from scratch, there are also quite a few that do what I did: mix a few seasonings into pre-ground bulk sausage. I recommend starting with something basic: I used Jimmy Dean regular sausage as my base. 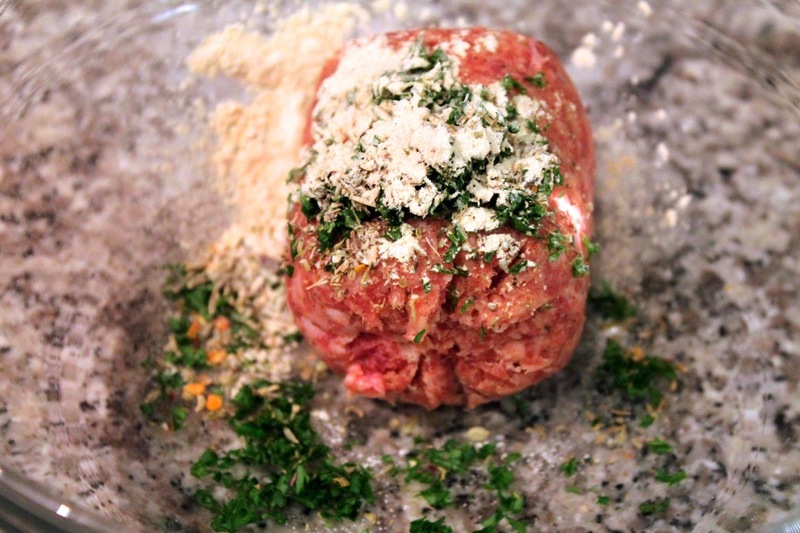 From there, I added fennel seed, red chili pepper flakes, garlic, parsley and oregano. 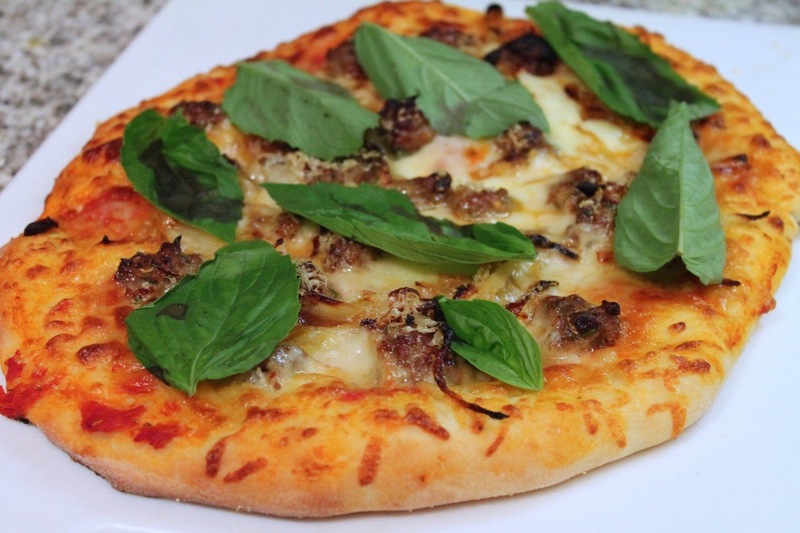 This "doctored" sausage was exactly what I wanted for my pizza with homemade tomato sauce, mozzarella, parmigiano-reggiano, caramelized onion and fresh basil. The recipe below is enough for two personal-sized pizzas. Feel free to scale up as needed. 1. Combine all ingredients in a large bowl. 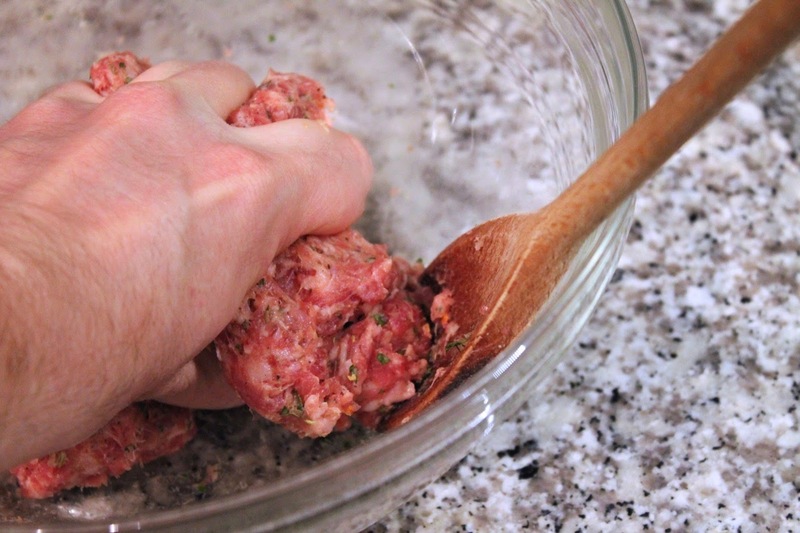 Mix together thoroughly with a spoon or your hands (your hands work better). 2. 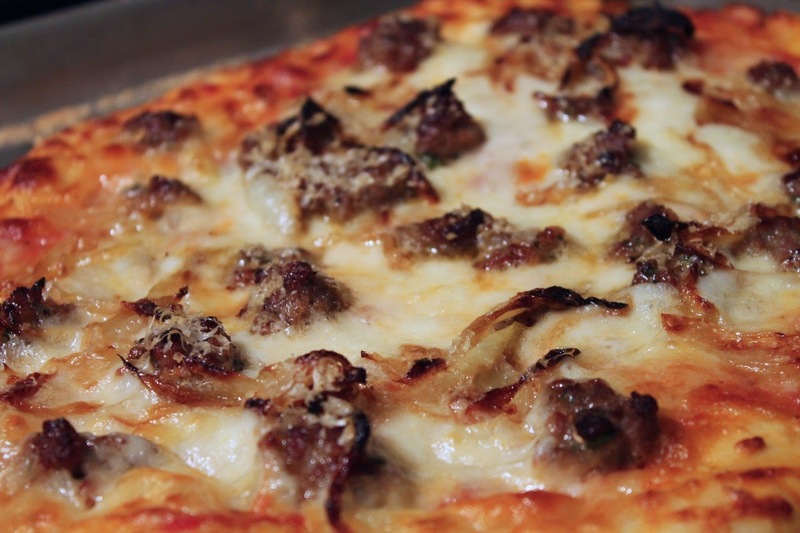 For use on pizza, form into small balls, about 1/2-inch wide and cook in a medium frying pan over medium heat until browned on all sides. This sounds like a smart approach to Cook In / Dine Out. Congrats on your third anniversary! Thanks honey! Thank you for your support and encouragement that's helped to get me here.